Are you looking for a reliable and cost effective relay for energy meter? Industrial Spacetek (ISTEK) could be the ideal source of power relay for your smart meter business. As a specialist latching relay provider, many of ISTEK's customers are energy meter manufacturers. Modern power meter manufacturers are shifting their focus from traditional energy meters to smart meters. This is because smart meters become more and more important in the big plan of smart grids and smart cities. Bistable latching relay has been proven to be the perfect fit for smart meters. Magnetic latching relay as the key component in a smart meter can meet all performance requirements. Through the years of close co-operation with energy meter manufacturers, our latching relay engineers deeply understand the needs of those smart meter manufacturers. 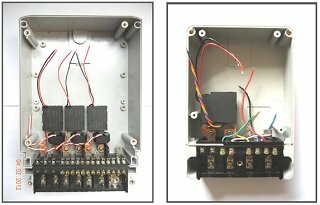 Our electric meter relay products are always designed and made to deliver the desired performances for smart meters. To meet various needs from energy meter manufacturers, ISTEK makes available a full range of latching relays. Customers can choose any of our relay products to meet their particular requirements. We can also co-develop with meter companies on customised relay assemblies. Need Latching relays for Single Phase or Polyphase Smart Meters? SPST energy meter relay series - including the popular R104B 90A 277VAC 12 VDC relay (can be both DC or AC pulse driven and often used by meter companies on 60A electric meters ). To find out more about the product availability and customised assembly options, contact us now. Need to deal with tempering and energy theft issues? ISTEK provides a series of latching relay with magnetic protection shields. They can effectively protect the relay from being tampered by external magnets. These anti-tampering energy meter relays can operate properly in very strong magnetic fields from 300mt up (e.g. R103-80A Relay with shield) to 500mt (e.g. R104 -100A Relay with Shield). If you need more information on these anti-tampering series, just let us know. Need a latching relay with the specific current rating designed for your smart meter? To find out more on the extremely competitive prices and/or product technical information, contact us now. Need a latching relay for energy meter fully assembled with shunt and/or current transformer? Our energy meter relays are often supplied with full assemblies. 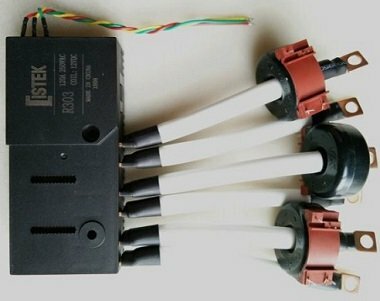 The assembled relay sets usually include braided copper wires, brass terminals, shunt resistors and / or current transformers (CTs). We often assemble CTs according to customer's requirements for accurate current measurement. They include MCTs and DCTs - some of them come with DC immunity. While many of our customers specify a particular brand of CTs for us to use (e.g. VAC - VACCUMSCHMELZE), some customers want us to recommend locally made CTs for their relay assemblies. Hence, we have selected some CTs for you to choose together with the relay for energy meter. Please refer to this product datasheet for﻿ the CTs for energy meters available through ISTEK. Contact us to discuss more about the possible relay assemblies for your energy meters. Need a latching relay for energy meter to meet the standards set by a regional market? 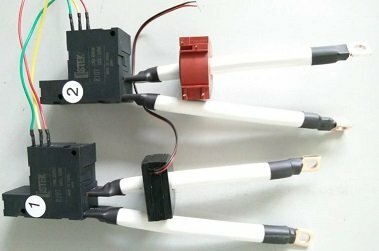 Latching relays for smart meters used in North American and Japanese markets - with higher current ratings. For example our very small sized 150A (R107-150A-250VAC) has been used by customers in these regions on high current (120A and above) energy meters. Simply contact us if you want to find out the price information of a specific relay for energy meter. You may also tell us (via the form below) if you want to organize a couple of sample relays for the latest smart meter projects. If you need a latching relay with special requirements that can not be met by any existing relays, just let us know. Our engineers would co-operate with you and develop a customised relay assembly for you.